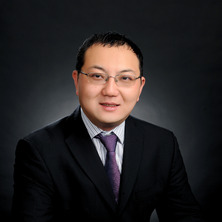 Dr Qiao Liu is currently an Associate Professor in the TC Beirne School of Law, The University of Queensland (Australia). He obtained his DPhil in law from the University of Oxford. Prior to joining the School in 2007, Professor Liu lectured at the University of the West of England (Bristol). He has also taught part-time at the University of Leicester and the Shanghai Institute of Foreign Trade. He was a Lee Ka Shing Visiting Professor at the Faculty of Law, McGill University from January to June 2016, a visiting scholar at the Harvard Law School from July to August 2012 and is an Adjunct Professor of Comparative Law at the School of Law of Xi'an Jiaotong University (China). Associate Professor Liu teaches and researches in contract, commercial law and Chinese law, with a particular interest in comparative study of Chinese and Anglo-Australian private law. He has published in the Modern Law Review, American Journal of Comparative Law, the Cambridge Law Journal, the Sydney Law Review, Legal Studies, Lloyd's Maritime and Commercial Law Quarterly and University of New South Wales Law Journal (all A* journals according to the 2010 ARC ranking table). His book entitled Anticipatory Breach (Hart Publishing Oxford 2011) was extensively cited as an authority in the area by epic common law courts and has been favourably reviewed by leading scholars in the field. Associate Professor Liu co-authored a leading contract text with Professor Ewan McKendrick of the University of Oxford, Contract Law (Australian Edition, Palgrave Macmillan, 2015). He also translated Peter Birks' seminal book 'Unjust Enrichment' (2nd edn OUP 2005) into Chinese (Tsinghua University Press, 2012). He serves currently as the Editor-in-Chief of the Chinese Journal of Comparative Law (OUP) and holds membership or executive roles in a number of academic societies in the UK, China and Europe as well as in Australia. He was elected a member of the International Academy of Comparative Law early 2013. He was a member of a small expert group working with the United Nations Commission on International Trade Law (UNCITRAL) Secretariat on the updating of the Digest on the Convention on Contracts for the International Sale of Goods. Associate Professor Liu has obtained several major research funds in both Australia and China including a highly prestigious ARC Discovery Early Career Researcher Award, a UQ Foundation Research Excellence Award, and a New Century Excellent Talents Award from the Chinese Ministry of Education. Associate Professor Liu's works were extensively cited by the Singapore Court of Appeal in The “STX Mumbai”  SGCA 35, which acknowledged his book 'Anticipatory Breach' as one of the two leading works on this area of common law, and to the House of Lords in the Golden Victory. His works were internationally recognised and well regarded by peers. Doctor of Philosophy in Law, Oxf. Liu, Qiao Anticipatory breach. Oxford, United Kingdom: Hart Publishing, 2011. Journal Article: Claiming damages upon an anticipatory breach: Why should an acceptance be necessary? Contract law provides an essential legal framework for every business deal. Research on Australian and Chinese contract law will provide authoritative guidance to lawyers and assist in facilitating legal dialogue and economic exchange between the two countries. Claiming damages upon an anticipatory breach: Why should an acceptance be necessary? McKendrick, Ewan and Liu, Qiao Contract Law Australian Edition ed. London, United Kingdom: Palgrave Macmillan, 2015. Birks, Peter and Liu, Qiao (translator) 不當得利 [Unjust enrichment]. Beijing, China: Tsinghua University Press, 2012. Trakman, Leon, Liu, Qiao and Chen, Lei (2019). Investor arbitration in China: a comparative perspective. In Lei Chen and Andreas Jassen (Ed. ), Dispute resolution in Asia and beyond: progress and trends (pp. tbc-tbc) United Kingdom: Springer. McKendrick, Ewan, Liu, Qiao and Ren, Xiang (2019). Remedies in international instruments. In David Campbell and Roger Halson (Ed. ), Research handbook on remedies in private law (pp. tbc-tbc) United Kingdom: Edward Elgar Publishing. Liu, Qiao (2019). Termination for fundamental breach. In David Campbell and Roger Halson (Ed. ), Research handbook on remedies in private law (pp. tbc-tbc) United Kingdom: Edward Elgar Publishing. Liu, Qiao (2016). Anticipatory breach. In Larry DiMatteo, André Janssen, Ulrich Magnus and Reiner Schulze (Ed. ), International sales law: contract, principles & practice (pp. 499-528) Germany: Beck, Hart and Nomos. Liu, Qiao (2012). Unjust Enrichment: Expansion from a Core Case (in Chinese). In Huixing Liang (Ed. ), Civil and Commercial Law Review (pp. 281-298) Beijing: Law Press (Beijing, China). Liu, Qiao and Halson, Roger (2019) Agreed damages, the penalty rule and unfair terms: an Anglo-Australian and Chinese comparison. Chinese Journal of Comparative Law, 7 1: . Liu, Qiao (2018) Chinese ‘case law’: illusions and complexities. Asian Journal of Comparative Law, . Liu, Qiao (2013) Rethinking election: a general theory. Sydney Law Review, 35 3: 599-625. Liu, Qiao (2013) The use and misuse of equitable election. University of New South Wales Law Journal, 36 3: 1053-1074. Liu, Qiao (2011) The Puzzle of Unintended Acceptance of Repudiation. Lloyd's Maritime and Commercial Law Quarterly, Part 1 4-11. Liu, Qiao (2010) The Pitfall of Subjective Renunciation. Lloyd's Maritime and Commercial Law Quarterly, 359-364. Liu, Qiao (2008) The test of fundamentality in anticipatory breach cases: Spirent v Quake. Canadian Business Law Journal, 46 3: 443-487. Liu, Q. (2007) The Chinese Property Rights Law: Old wine in a new bottle. LawAsia Journal, 2007 1: 163-185. Qiao, L. (2007) The date for assessing damages for loss of prospective performance under a contract. Lloyd's Maritime and Commercial Law Quarterly, 2007 3: 273-282. Liu, Qiao (2001) From Objective Test to Pragmatic Test: A Purposive Interpretation of 'Short-Swing Trading' Provisions (in Chinese). Xiamen University Law Review, 2 50-111. Qiao Liu (2000) A Study on the Civil Liabilities of Certificate Public Accountants (in Chinese). Civil and Commercial Law Review, 16 250-250. Qiao Liu (1999) On Civil Law Aspects of A Hijacking Case (in Chinese). Law Science, 209 58-66. Qiao Liu (1999) Rebus Sic Stantibus: Legislative and Judicial Issues on Uniform Contract Law (in Chinese). Modern Law Science, 21 4 (Aug): 36-45. Liu, Qiao (2017). CISG in Chinese Courts–Substantive Applications. In: UNCITRAL-UM Joint Conference 2017 Modernization of National Commercial Laws and the Role of Legal Harmonization in International Commerce, Macau SAR, China, (). 11-12 December 2017. Liu, Qiao (2017). Conducting Comparative Studies on Chinese Law Some Methodological Issues. In: The State of Comparative Law in Asia, National University of Singapore, Singapore, (). 27 September 2017. Qiao Liu (2013). CISG in Chinese Courts. In: China and International Commercial Dispute Resolution, Xi'an, China, (). 10-15 May. Liu, Qiao (2012). National report: codifying Chinese commercial law. In: International Association of Comparative Law Conference on Codification, Taipei, Taiwan, (). 24-26 May 2012.